While animal lovers cheer the move, some business owners object, saying residents should decide instead of a city board. SAN FRANCISCO — San Francisco supervisors voted unanimously to ban the sale of fur, further burnishing the city’s animal-loving credentials as it becomes the largest U.S. city to approve the prohibition. Animal welfare advocates around the world cheered news of Tuesday’s vote, applauding the city for its compassion and hoping that the legislation will catch on. The ban takes effect Jan. 1 and applies to anything featuring real fur, including key chains and gloves. An amendment added Tuesday allows furriers and other retailers to sell current inventory until January 1, 2020. Retailers in San Francisco, however, balked at what they called another social mandate at the cost of their ability to make a living. “It should be a citywide public vote, it shouldn’t be decided by the Board of Supervisors,” said Skip Pas, chief executive officer of West Coast Leather, which sells fur-trimmed items but deals largely in leather. San Francisco, named for the patron saint of animals, has a reputation for a strong social conscience, often at a cost to businesses. Its board banned the sale of menthol cigarettes and other flavored tobacco, which voters will consider in June. Katy Tang, the supervisor behind the fur ban legislation, has successfully pushed to prohibit performances by exotic animals and to forbid the sale of non-rescue cats and dogs from pet stores. About 50 clothing and accessory retailers downtown will be affected by the legislation, said Jim Lazarus, senior vice president of public policy at the San Francisco Chamber of Commerce. Reselling vintage and used fur by outlets not usually in the business of trading fur, such as secondhand stores, pawn shops and nonprofits, will still be allowed. The chamber estimates San Francisco fur sales account for at least $40 million a year. The city’s Office of Economic Analysis estimated fur sales at $11 million in 2012, based on census figures. The city says even if sales numbers are much higher than its estimate a prohibition is unlikely to significantly harm the overall local economy. The Fur Information Council of America and the International Fur Federation wrote to supervisors before the vote, seeking to partner with the city to launch a rigorous certification program that it said would ensure animal and environmental health. The organizations did not have immediate comment on Tuesday’s vote. The prohibition will hit retailers large and small, although smaller businesses will probably have a harder time adjusting. Luxury department stores Neiman Marcus and Saks Fifth Avenue both feature fur salons. Representatives for the stores did not respond to requests for comment. Benjamin Lin, 72, owns B.B. Hawk in the South of Market neighborhood. 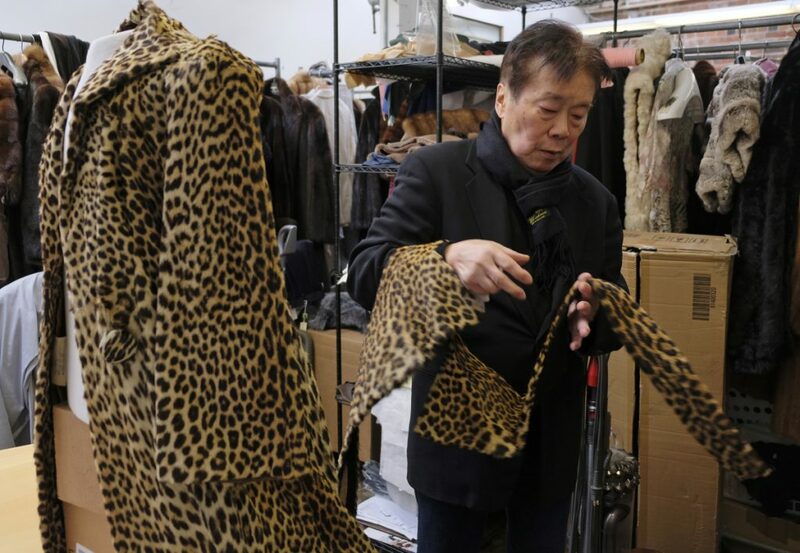 His showroom features chinchilla, sable, fox, and Blackglama mink. He is considering keeping his current location but selling fur at a smaller place nearby, outside San Francisco. San Francisco joins two other California cities, West Hollywood and Berkeley, in saying no to fur.